Compile Heart's first JRPG is coming to Switch! 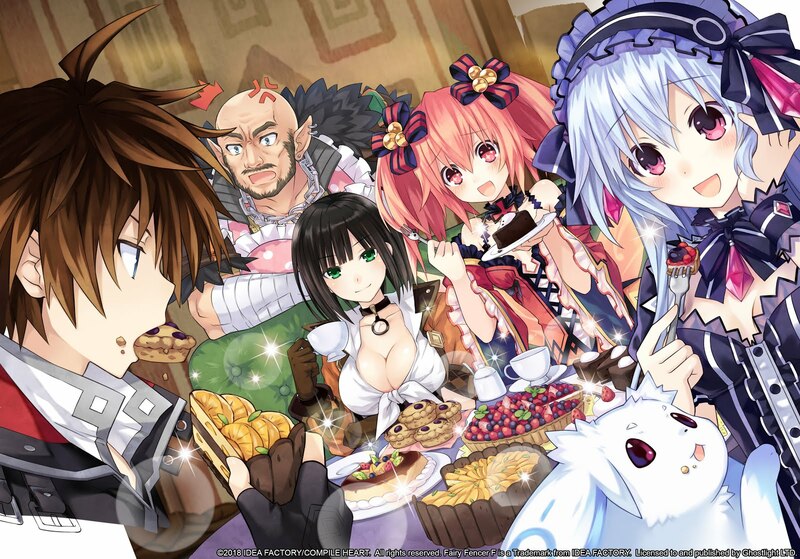 While Matt C. mentioned that Fairy Fencer F is coming to Switch in his Switch port wrap-up this week, but we think it's worth another mention here. We love Compile Heart for Hyperdimension Neptunia, and its foray into JRPGs did not disappoint (our review here). Originally released for PS3 and soon after PC, the game was released an an expanded version for PlayStation 4 and (again) PC called Fairy Fencer F: Advent Dark Force. But where's the fun in sticking to the consoles that keep you tied down?! Published by Ghostlight in Europe and Australia, and Idea Factory International in North America, the game will be released digitally via the Nintendo eShop. What should you expect from the title if you haven't played before? It's like the more serious sibling of Neptunia, with, according to Matt S., a "highly refined art and aesthetic design." Don't worry, it's still full of the fanservice we've come to expect from Compile Heart! So, aside from being able to take Fairy Fencer F on the go, why is this news so gosh darned exciting? It could be a sign of what's to come from Compile Heart on the Nintendo Switch... and that means maybe Hyperdimension Neptunia isn't far behind! Or maybe even Mary Skelter Nightmares, or Lost Dimension. We'll be keeping an eye out! I've never been so excited to play a game that places me in a menial job since Pope's Papers, Please. As the insurance adjuster, you have the aid of a device called the Momento Mortem that brings you back to the times of the crewmen's death. You need to learn the fate of each crew member (there are 60!) and note in your roll book if they are alive, dead, or missing. The game is heavily stylised in the most beautiful way, complimented by the incredible sound design. You begin extremely restricted in your movement, with one corpse and nowhere else to move, so the Momento Mortem can actually also be used to go back in time to when the door's were unlocked. I love the idea, love the look, love the sound, love the gameplay tools... it's safe to say I'm excited! Takahashi is a trained artist, with a degree from Musashino Art University. 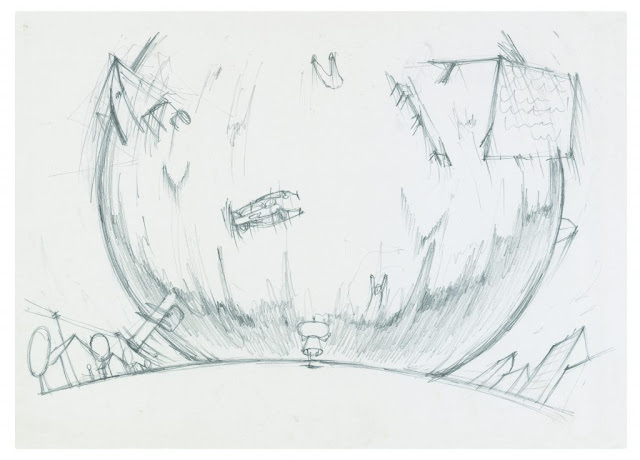 His video game work isn't make it's first appearance in a museum, as Katamari Damacy was one of the first video games acquired by New York Ciry's Museum of Modern Art for its permanent collection. He's also worked with other developers/artists for installations at festivals and museums. While he is most notable for his work on the Katamari series - with good reason, don't get me wrong - he's also worked on Alphabet with Adam Saltsman, Noby Noby Boy, Woorld, and the upcoming Wattam that is just as delightfully whacky as Katamari. The exhibit at Telfair Museum, which runs from January 24 to July 14, includes examples of Takahashi's early sculpture work, playground designs, collaborations, major game releases, and indie titles. Oh, and it will highlight a new "secret" game! Developed by Jitensyasougyou Inc., publisher Mediascape has announced that it will be bringing Hoshi no Kakera no Monogatari: Hitokakera-Ban to the Western world under the title Tale of the Fragmented Star: Single Fragment Version. The game was originally released in Japan in late January 2018. Self-described as a communication-oriented virtual reality puzzle game, Tale of the Fragmented Star: Single Fragment Star is about a girl abandoned on a broken star. Due to the star's light being out, she cannot use it to escape or send for help. However, somewhere on the star is a point that links to another world. The player is able to enter the parallel world to communicate with the girl and help restore the star's power. Tale of the Fragmented Star: Single Fragment Star is coming "soon" for PlayStation VR.